It’s no surprise that Thailand is a favorite among luxury travelers, drawing them back again and again. Unique, luxurious hotels and resorts abound, with the bar rising each year as more innovative properties make their mark. 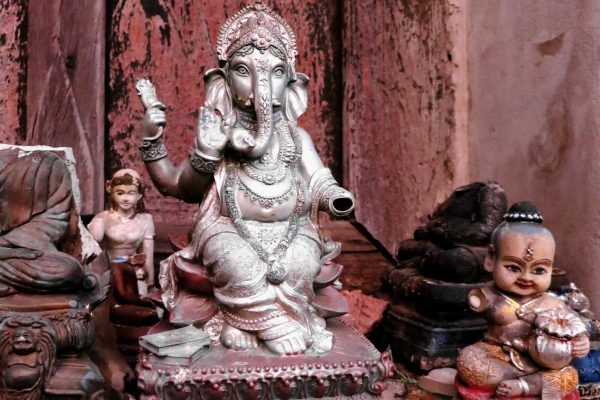 The sheer range of travel experiences available is incredible, and the culture has many facets that make it perfect for diverse interests ranging from spiritual to decadent. For travelers seeking nature, there are lagoons hidden inside limestone cliffs, rich mangrove forests, mountains shrouded in fog, palm-fringed beaches, ancient evergreen rainforests, and rivers feeding into waterfalls. For those in need of relaxation, there are meditation courses, world-class spas, stunning sunsets and traditional Thai massage. 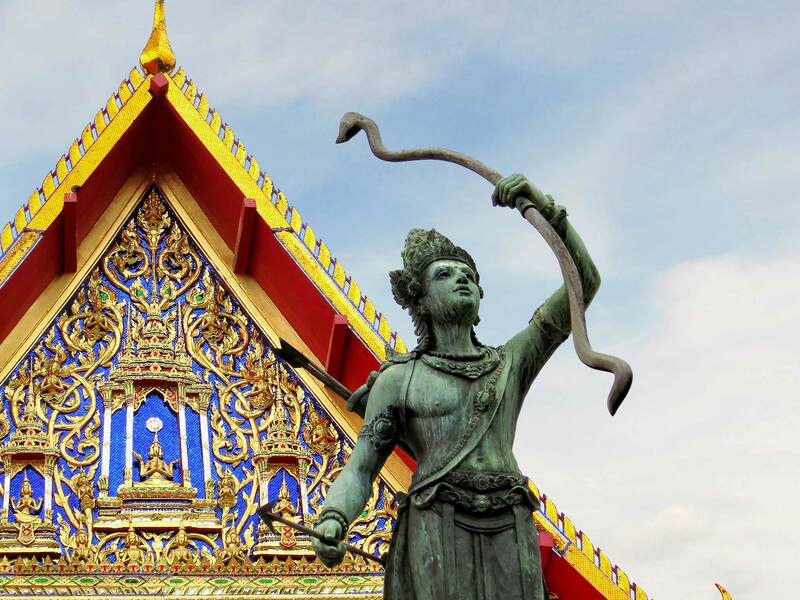 For culture-lovers, Thailand has exquisite Buddhist temples, a heritage of stunning painting, art museums both contemporary and traditional, and intricate classical dance. Those simply looking for some fun will be happy to know that “sanuk”—the Thai word for fun and enjoyment—is also a way of life in Thailand, where the people are known for their smiles and friendliness. 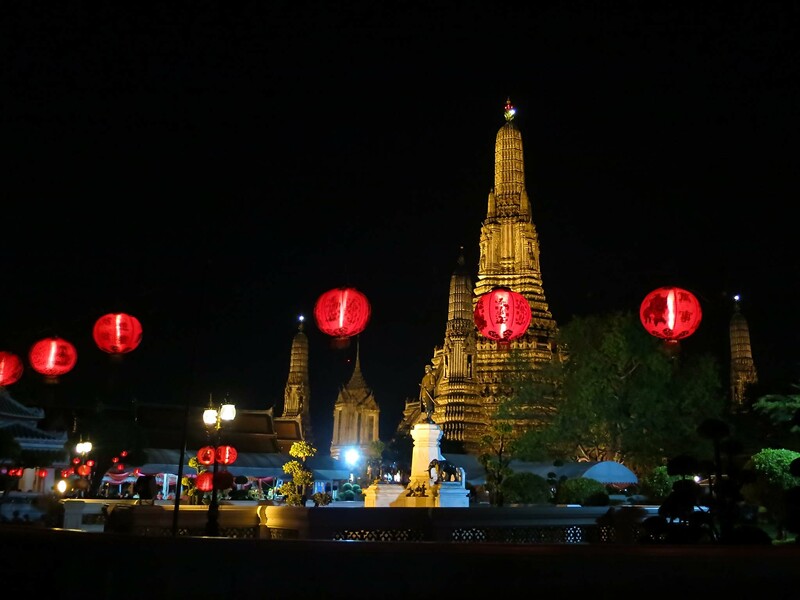 This commitment to having a good time makes Thailand one of the best nightlife and foodie destinations in the world. 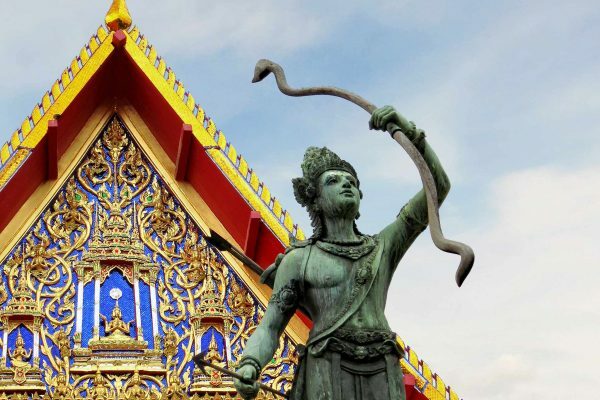 Thailand, (known as Siam for most of its existence) has the distinction of being the only Southeast Asian country never to have been colonized by Europeans. Its historical buildings have a unique style, originating over 700 years ago, during the Sukhothai period. 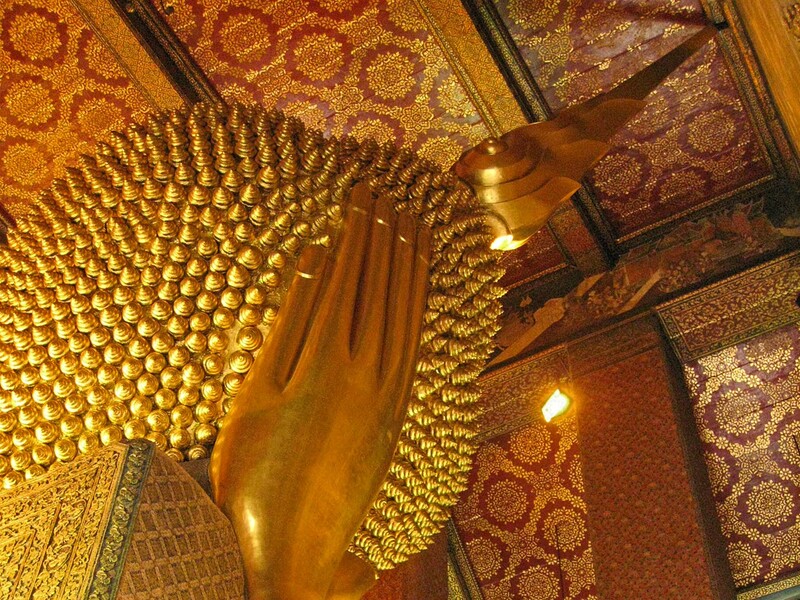 Over the years, designs from surrounding countries (and later, Europe) provided influences, but the structures have always maintained the ornate, elegant, and graceful Thai look. Bangkok has an abundance of buildings that display an exquisite blend of architecture and decorative art, including the exemplary Grand Palace, Buddhist temples such as Wat Pho (known for housing a 45-meter-long reclining Buddha statue), Wat Arun (the colorful Temple of the Dawn), Wat Traimit (Temple of the Golden Buddha), and the National Museum. The Jim Thompson House offers tours of the avid collector’s last private residence, showcasing rare examples of fine art and antiques. There’s also a restaurant, shop, and art gallery on the premises. 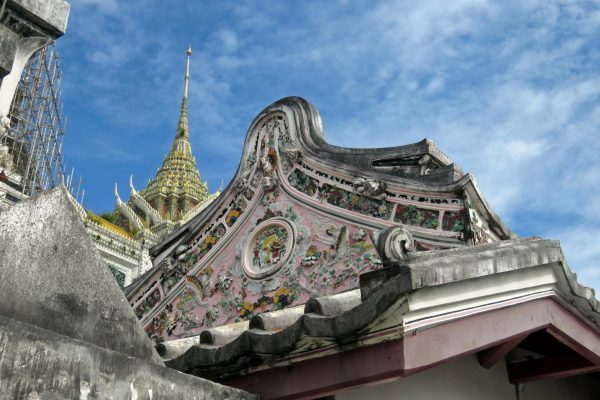 The region of Chiang Mai has hundreds of temples, many in the Lanna style that dominated for hundreds of years following the 13th century. 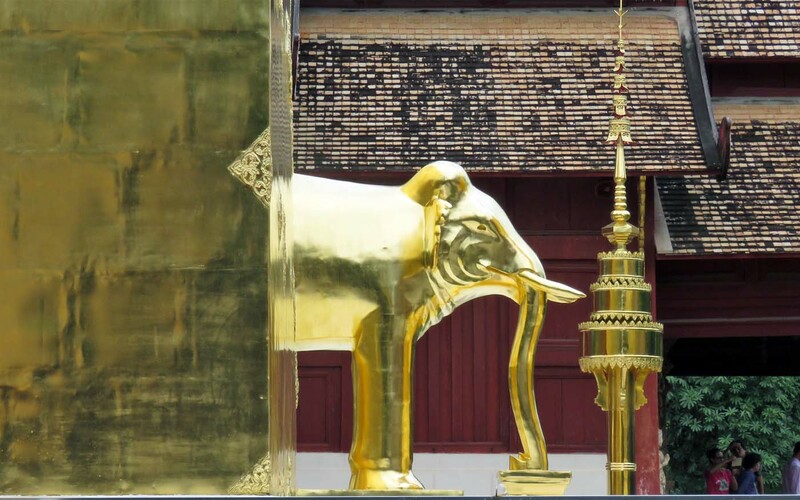 The most famous is the mountain-top temple complex Wat Doi Suthep, crowned with a colossal golden chedi. There are fantastic views of Chiang Mai from the terrace surrounding the temple. 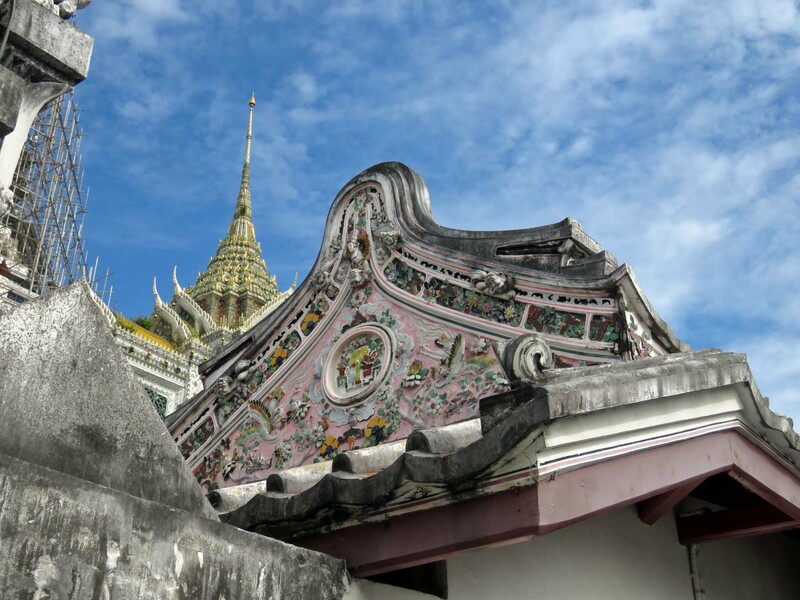 Within the Old City, several temples stand within walking distance of each other, including the delicate Wat Phra Singh and the ruins of the ancient and imposing Wat Chedi Luang, damaged by an earthquake in 1545. Located in the once-infamous Golden Triangle (where Thailand borders Laos and Myanmar along the Mekong River), the mountainous region of Chiang Rai has replaced opium production with tea plantations. 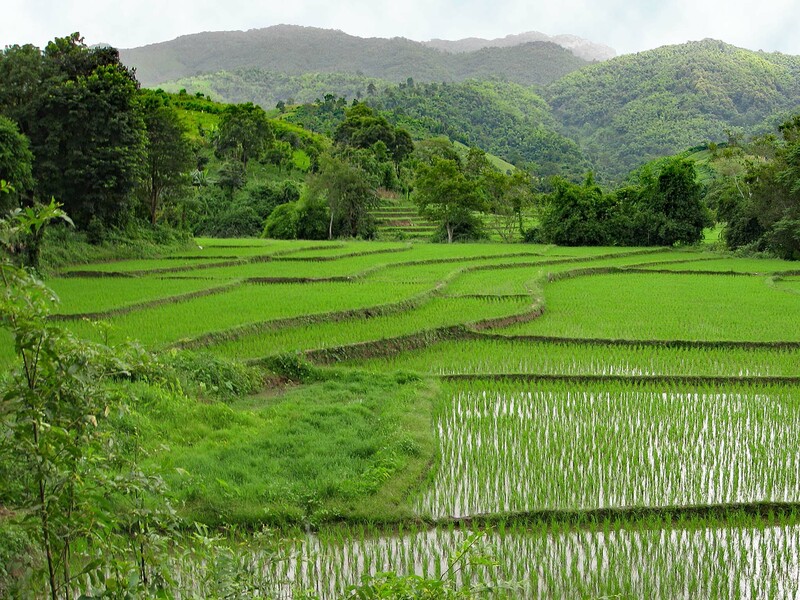 Surrounding the small city are mountains, waterfalls, and streams, as well as villages that are home to Hill Tribes such as the Akha, Hmong, and Lisu. The Mae Fah Luang Art and Cultural Park is a lovely, verdant expanse perfect for a leisurely stroll or bike ride to see the Golden Pavilion, as well as an impressive collection of Lanna art and architecture. The Hall of Opium is a modern museum detailing the darker side of the region’s past, with fascinating exhibitions. The Golden Triangle is also popular for adventure and ecotourism experiences such as hiking, mountain biking, and rafting. The ruins of the ancient city of Ayutthaya make for a perfect day trip from Bangkok. 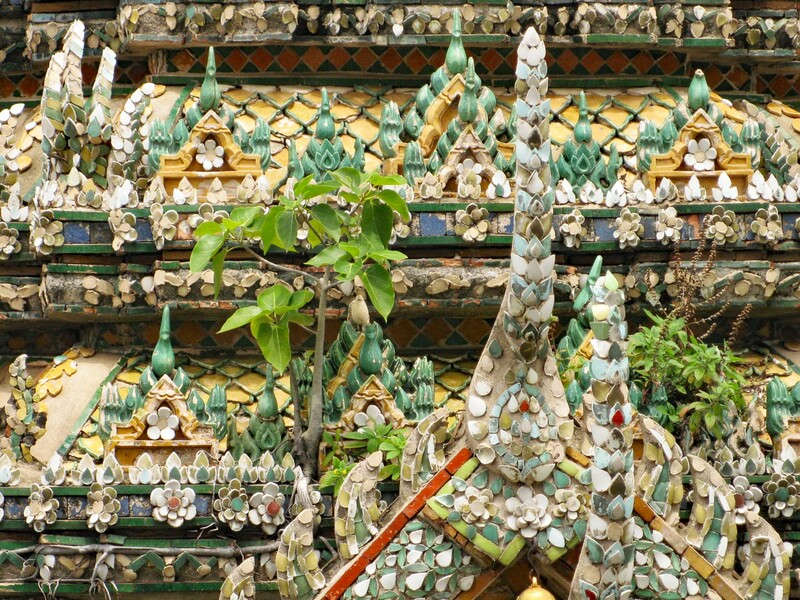 This UNESCO World Heritage Site was the capital of the Thai empire from the 1300s to the 1700s. We particularly like to explore the impressive ruins by bicycle. 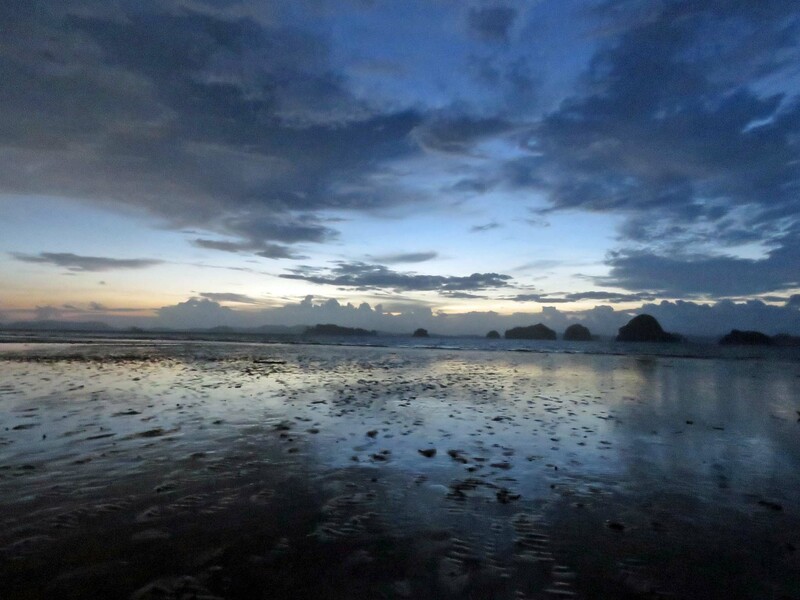 Southern Thailand is blessed with an ample coastline extending down the Malay Peninsula. This creates an east and a west coast, each blessed with hundreds of surrounding islands, many of them with long, sandy beaches. Phuket is the most famous of the Thai islands. It sits off the west coast in the Andaman Sea. Notable nearby islands include Koh Lanta, Koh Yao Noi, and Koh Phi Phi (Koh means island in Thai). The coast along the nearby mainland has top-notch beach locations, too. 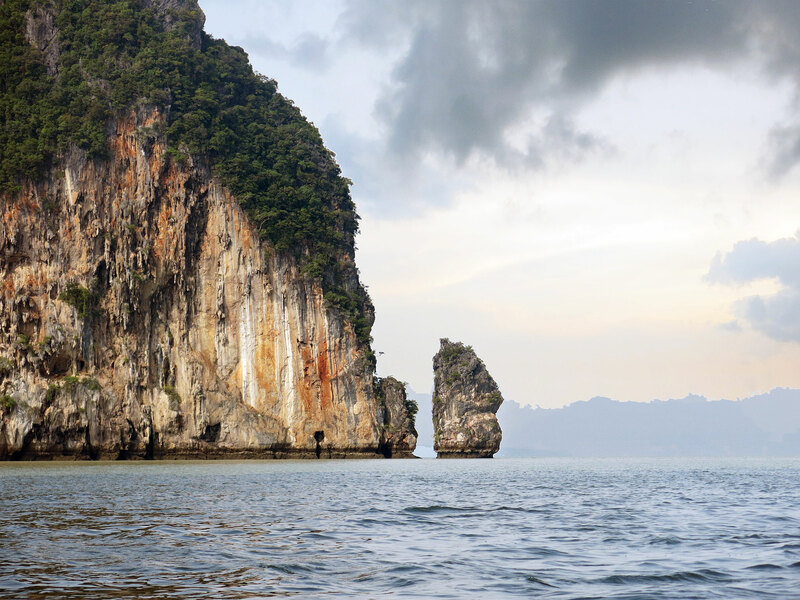 Krabi is less developed than Phuket, with lovely beaches and cliffs for rock climbing. 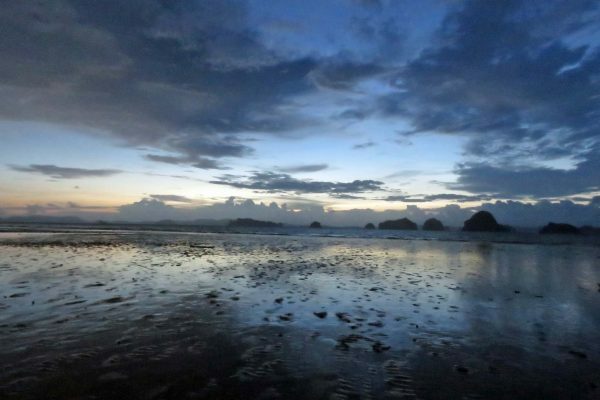 Khao Lok has stunning, quiet beaches and a more relaxed pace. 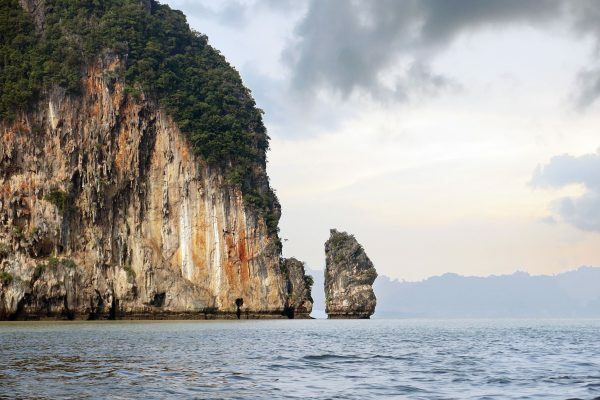 Nestled between Phuket and Krabi is Phang Nha Bay, an aquatic wonderland of limestone cliffs and rock formations jutting from the water, some with hidden mangrove forests. Located west of Khao Lok is the Similan Islands Marine National Park, a dream destination for divers. Given its distance from the mainland, live-aboard ships provide the best immersive experience to explore this coral reef for tropical fish, manta rays, and whale sharks. Koh Samui in the Gulf of Thailand is the largest, best-known island off the east coast. To its north, the Ang Thong National Marine Park is a snorkeling and diving hot spot. Also in the area is Koh Pha Ngan, whose notorious Full Moon Parties attract a younger crowd. Each side has different weather patterns, which means perfect beach weather can be found most of the year. The east/Koh Samui side is driest from January to September (except for rains in May); the rainy season runs from late October through early January. 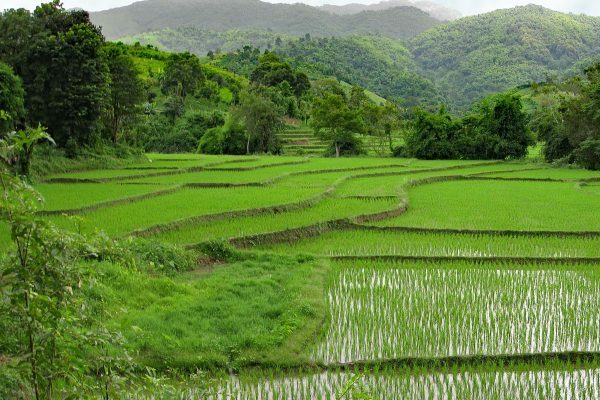 The west/Phuket side is ideal from late November through March, with rains picking up in April and lasting through early November. Spas are ubiquitous in Thailand. Most offer traditional Thai massage and herbal compresses, as well as hot stone massage, reflexology, oil massage, and Indian Ayurvedic treatments. Many resorts have spa suites or salas for an outdoor massage by the beach. 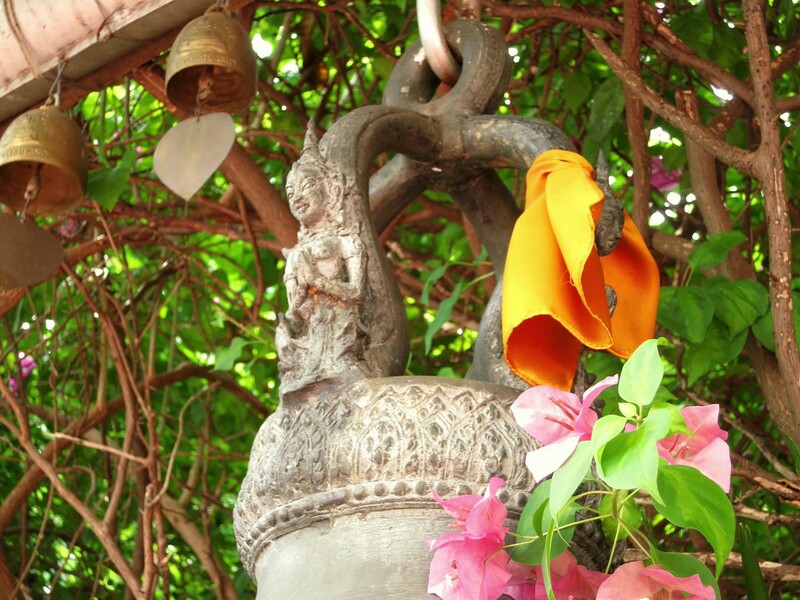 In southern Thailand, there are specialized health resorts and specific retreats for yoga and wellness. 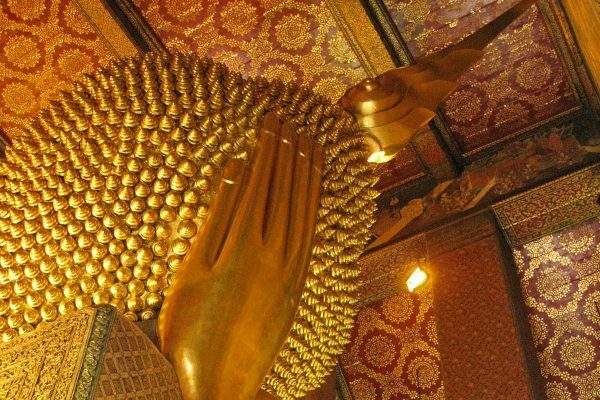 For an authentic experience in Bangkok, Wat Pho is the original training school for Thai Massage, and services are available there. Thai food is a delicious balance of salty, sweet, sour, and spicy. Foodies eat their way through Thailand, sampling regional varieties of rice, noodles, and curries, as well as juicy tropical fruits and tasty desserts. Fine-dining restaurants are plentiful, especially in Bangkok, which has two of Asia’s 10 Best Restaurants—Gaggan and Nahm. At the other end of the spectrum, snacking on street food is a popular pastime, a chance to sample everything from Pad Thai to durian with sticky rice to fried grasshoppers. As food is usually prepared fresh, vegetarians and vegans need only ask to have a dish prepared to their specifications. You can learn the secrets of making Thai cuisine for yourself at venues around the country. Classes in the delicate art of fruit carving are also popular. Chiang Mai has several schools with an emphasis on Lanna-style cuisine. Bangkok has classes run by top restaurants and even specialty classes, such as vegetarian Thai at May Kaidee. Fancy a cup of tea? Spend a day hiking around Doi Mae Salong in northern Thailand, where former opium fields now grow oolong tea. You can watch the tea being picked and sample dozens of varieties in local tea shops. Bangkok’s thriving contemporary arts scene means there are regular gallery openings. Cutting-edge exhibits can be found at the Bangkok Museum of Contemporary Art (MOCA), and Bangkok Art & Culture Center (BACC). An Ilex favorite is the WTF Café & Gallery, which has a hip cocktail bar on the ground level and art exhibits upstairs. In the north, the Maiiam Museum of Contemporary Art recently opened in Chiang Mai. 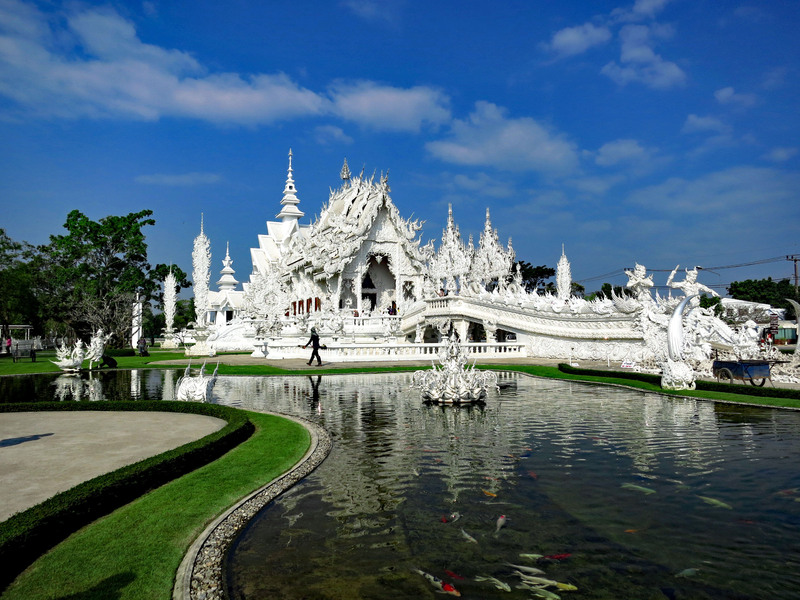 The country’s most famous contemporary art installation is in Chiang Rai: Wat Rong Khun, the incomparable White Temple, is an ingeniously twisted interpretation of a traditional Thai Buddhist Temple. Elephants are strongly associated with Thailand, and dozens of parks promote elephant experiences throughout the country. The most humanely run tend to be in the Northern Thailand regions of Chiang Mai and Chiang Rai. Elephant Nature Park stands out as a rescue center that saves orphaned and injured elephants and provides them a happy home in a verdant valley. Rescued cats, dogs, and farm animals also dwell there. The Red Cross Snake Farm in Bangkok provides snake-handling demonstrations and is also a premier anti-venom research facility. Southern Thailand is famous for great snorkel and dive spots; look for hawksbill turtles, eels, stingrays, blacktip reef sharks, and more. Koh Lanta, Khao Lak, and Phuket serve as great bases for day trips under the sea. Look out for wildlife as you glide through the jungle canopy on the Flight of the Gibbon zip line, with locations in Chiang Mai and outside Bangkok. 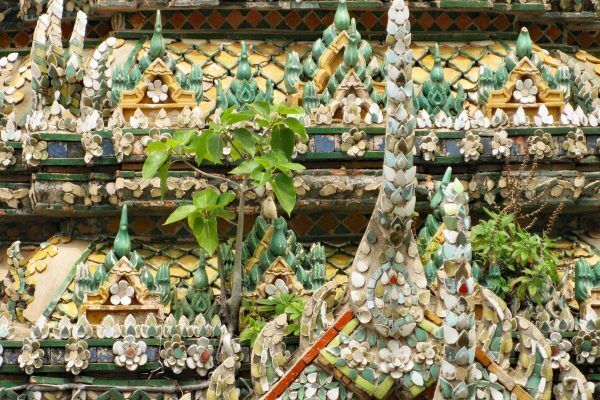 From hip boutiques stocked with styles from local designers to vintage finds and meticulous artisan crafts, Thailand is a treasure trove for shoppers of all tastes. 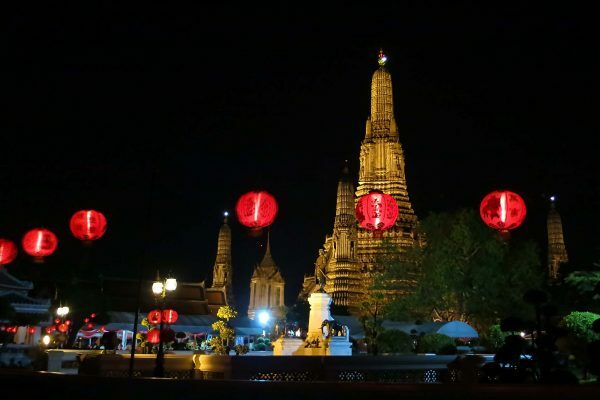 Serious consumers will want to carve out additional time in Bangkok. There are dozens of high-end shopping malls, departments stores, and markets. The lively and overwhelming Chatuchak Weekend Market (also called the JJ market) is the largest outdoor market in southeast Asia. Intrepid shoppers can find handicrafts, out-of-print books, clothing, pets, artwork, costumes, tools, and so much more. The Talad Rot Fai Night Market now has two locations for those seeking antiques, vintage vinyl, old toys, and other hipster goods. The airport-themed Terminal 21 shopping mall features primarily international brands, but the “Tokyo” floor sells women’s clothing by local up-and-coming designers, while the “London” floor replicates Carnaby Street and specializes in hip clothing for men. Chiang Mai has plenty for shoppers, too: The Nimmanhaemin district is a wonderland of cafés and hip boutiques selling locally designed home goods and clothing. Chiang Mai’s Night Bazaar is legendary, though over the years the merchandise has shifted from authentic products to designer knock-offs. Higher-quality, more unique goods can be found at the Sunday Walking Street Market in the Old City and at the Saturday Market on Wu Lai Road, opposite the Chiang Mai Gate. Both also have street performances and stalls that sell snacks. The cat café trend has hit Thailand. You can now sip Thai Iced Tea while making feline friends in Bangkok’s Caturday and Chiang Mai’s Catmosphere. Though the name may not be appetizing, Cabbage & Condoms is a chain of restaurants serving surprisingly tasty Thai food. Profits support educational programs about health and HIV/AIDS prevention. There are now over 10 locations in the country, including Chiang Rai, Bangkok, and Krabi. You may spy locals carrying Luk Thep “child angel” dolls. These eerily lifelike dolls are a growing trend among adults in Thailand, thought to bring good fortune. 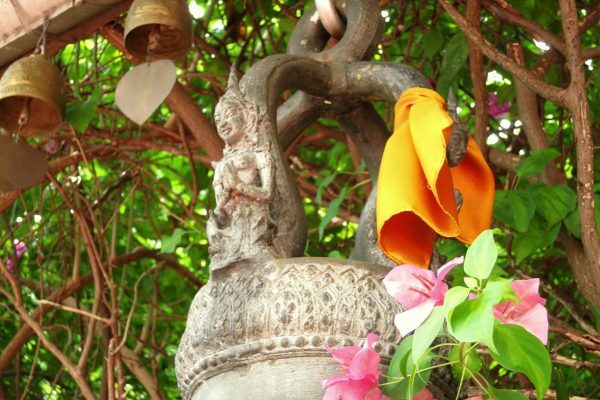 Honeymooners hoping to start a family (and anyone else who is curious) can visit Bangkok’s Shrine of the Goddess Tubtim, where women hoping to conceive make offerings in hopes of being blessed with healthy babies. 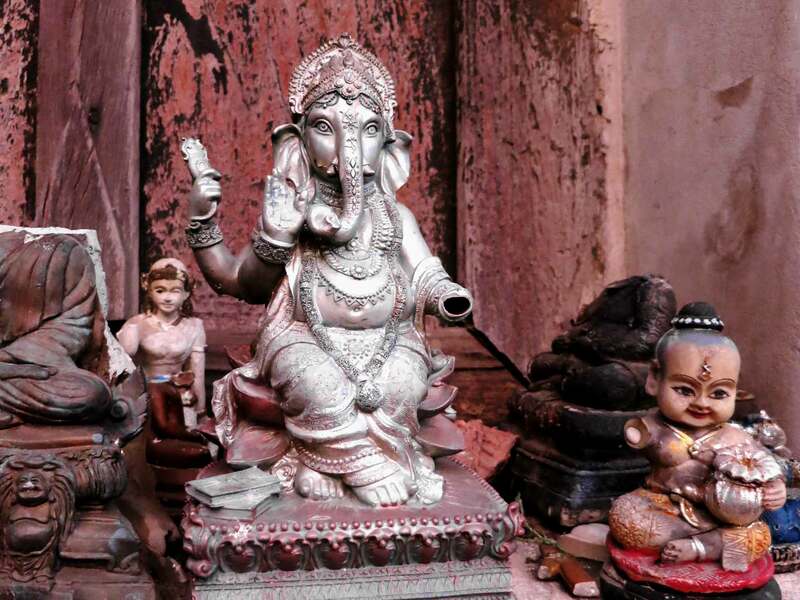 The unusual part of this fertility shrine is the hundreds of phallus-shaped statues, crafted in a variety of colors, sizes, and materials. Customized tours in Thailand starting from US$700 per person/per night. Thailand combines very well with trips to neighboring Cambodia, Laos, and Myanmar, as well as nearby Vietnam. Most flights arriving from North American and European airports connect via larger hubs in Asia or the Middle East: Doha, Dubai, Hong Kong, Seoul, or Taipei. Currently, there are no direct flights from the United States to Thailand. For Thailand, as in most of Southeast Asia, the outdoors will be warm and humid while indoors may be strongly air-conditioned, so layers are helpful. A light cardigan or long-sleeved button-down shirt can be useful for chilly interiors, cool early mornings, as sun protection, and to cover up when visiting holy places. In many temples and palaces, it is required to keep shoulders fully covered (i.e., no tank tops or merely a scarf over a tank top), not to wear anything too low-cut, and to dress more conservatively (knees covered with trousers, a long skirt, or at least capri pants). Shoes must be removed to enter some temples, so sturdy sandals or slip-on shoes are convenient. For walking around in the evenings, casual dress is fine for night markets, beach bars, and more casual eateries. Some high-end restaurants, bars, and clubs require closed/dressy shoes (no flip flops, beach shoes, or sneakers; nice sandals are OK for women) and long trousers for men. Thailand’s climate is warm and tropical, with a dry season (November-April) and a wet season (late May-October). April and May are typically extremely hot and avoided by most travelers. The beginning of the dry season (November-early March) is the most popular time to travel to Thailand, with average temperatures ranging from 73°F-87°F (23°C-31°C). 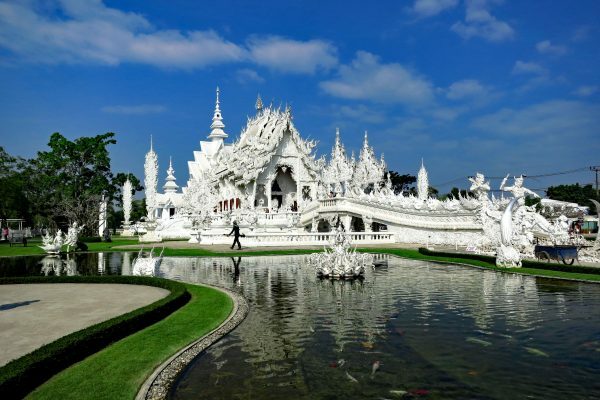 The far northern regions of Chiang Mai and Chiang Rai are somewhat cooler. Hotel prices are higher, and attractions have bigger crowds during this time. From late March, visitor numbers drop as the humidity and temperatures rise. It can sometimes reach 100°F (38°C) during these months. We affectionately call the wet season the “green season,” as the effect of the rains is rich, lush greenery, along with high water levels in the lakes and rivers. At this time, there are fewer travelers, and prices are lower. In general, the rains come in the form of one or two brief but intense rain showers per day, with the rest of the day being clear. It can be a very pleasant time to travel, but not for beach time or getting off the beaten path, where dirt roads can flood. An exception to the above is Koh Samui, in the Gulf of Thailand, which is warm year-round and has a dry season from roughly February to April, more rain in May, and then a second dry season from June to September. The wet season runs roughly from October to early January.